Our chocolate-covered berries are made in small batches right here in our Southern Oregon candy kitchen. 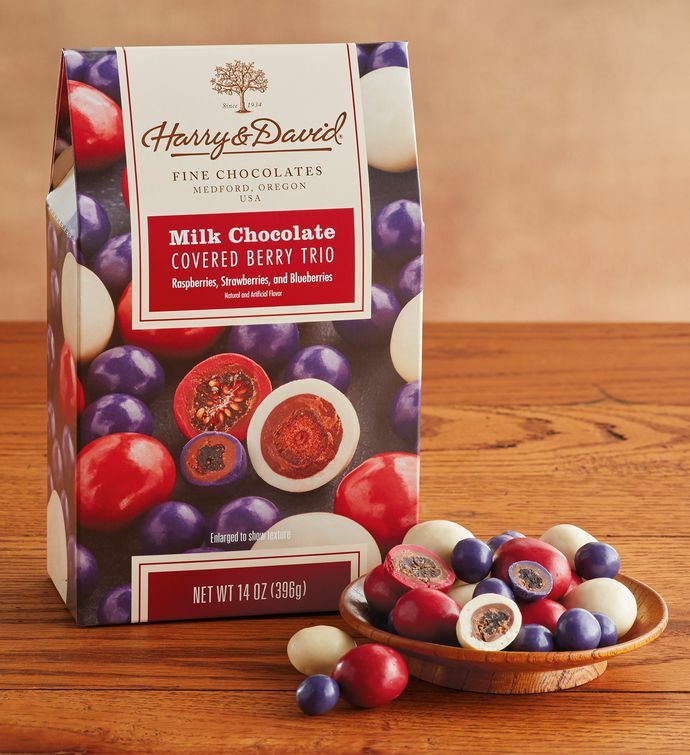 We use only the finest ingredients like real fruit, real vanilla, and our truffle-quality chocolate for a delicious delight you're sure to love. This assortment includes chocolate-covered raspberries, strawberries, and blueberries.